Big plans are being put in motion for the end of February. 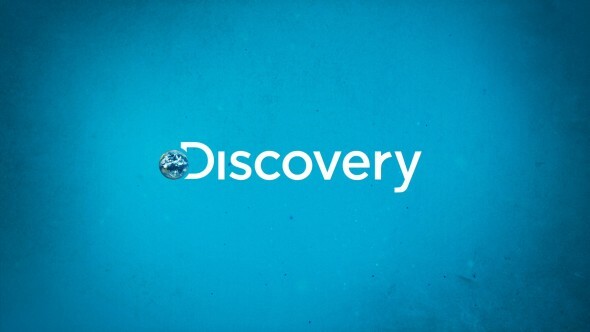 Discovery will premiere three shows during its Mega Motor Week. The event will begin on February 26. Discovery Channel revealed more about this event in a press release. Check that out below. “Start your engines, motor fans, and get ready for Discovery’s first-ever MOTOR MEGA WEEK! This week-long automotive celebration features three all-new series premieres – STREET OUTLAWS: NO PREP KINGS; TWIN TURBOS; and SHIFTING GEARS WITH AARON KAUFMAN – as well as a four-part, supersized STREET OUTLAWS VS. FAST N’ LOUD: BUILD TO MEGA RACE series. All leads to a monumental MEGA RACE finale, with Kyle Busch taking the helm as race master while top drivers go head-to-head for the largest prize in network history. The week will also include the STREET OUTLAWS: MEMPHIS season finale and a special sneak peek of returning fan favorite, AMERICAN CHOPPER. Discovery’s MOTOR MEGA WEEK begins Monday, February 26 at 9pm ET/PT and continues through Monday, March 5 at 11pm ET/PT. Discovery’s MOTOR MEGA WEEK kicks off with four consecutive nights of epic car builds culminating in a thrilling MEGA RACE finale as FAST N’ LOUD’s Richard Rawlings and his Gas Monkey team take on the 405 crew from STREET OUTLAWS. And for the first time, MISFIT GARAGE’s Tom Smith and Thomas Weeks, alongside their Fired Up Garage team, will duke it out against STREET OUTLAWS’ Farmtruck and AZN. NASCAR Driver Kyle Busch joins the Gas Monkey and 405 crews on the track to serve as race master and make sure neither team bends the rules, as they compete for the largest cash prize in network history. MOTOR MEGA WEEK revs up with KICK-OFF TO MEGA RACE at 8pm ET/PT on Monday, February 26, followed by STREET OUTLAWS VS. FAST N’ LOUD: BUILD TO MEGA RACE PART 1 at 9pm ET/PT. This is the first installment of the four-part BUILD TO MEGA RACE series, which takes viewers inside the garages of some of the network’s top motor talent as they prep for the epic showdown MEGA RACE. Meanwhile, the impressive finale of STREET OUTLAWS: MEMPHIS premieres at 10pm ET/PT. BUILD TO MEGA RACE continues with PART 2 on Tuesday, February 27 at 9pm ET/PT, before the 10pm ET/PT premiere of STREET OUTLAWS: NO PREP KINGS. In this all new series, Outlaw veteran Chuck serves as race master in a new city on a new “no prep” track every week, with racers duking it out to become the ultimate no prep winner. The stakes are high and the excitement is higher as local crowds flood in to see which all-star STREET OUTLAW will show up to win it all. Wednesday, February 28 gets going with the third part of BUILD TO MEGA RACE airing at 9pm ET/PT. Then at 10pm ET/PT, catch the premiere of the all-new series, TWIN TURBOS, which follows father-son duo Doug and Brad DeBerti as they push the boundaries on custom builds, creating outrageous, state-of-the-art vehicles like a truck modeled after a fighter jet, and developing the first ever drift racing truck. On Thursday, March 1, the crews from Gas Monkey Garage, the 405 and Fired Up Garage wrap up their builds for the final BUILD TO MEGA RACE episode at 9pm ET/PT. The long-awaited AMERICAN CHOPPER then debuts an exclusive sneak peek of its upcoming season at 10pm ET/PT, with world-class motorcycle builders Paul Teutul, Sr. and Paul Teutul, Jr. returning to reclaim their place atop the high-pressure world of customized bike building. With clients including A-list celebrities, world famous athletes, and Forbes 100 businesses, millions of dollars and their brands’ reputations are on the line with each signature build. Monday, March 5 brings The COUNTDOWN TO MEGA RACE at 8pm ET/PT, immediately followed by MEGA RACE at 9pm ET/PT. Then, on the heels of MEGA RACE, the brand-new series SHIFTING GEARS WITH AARON KAUFMAN premieres at 10pm ET/PT. In the new show, FAST N’ LOUD star Aaron Kaufman is back and, this time, he’s the boss. Redefining the custom car building space, Aaron pushes his design abilities to the limit and focuses on custom vehicle builds propelled by passion, even risking the vehicles’ destruction in the process. MOTOR MEGA WEEK continues on the multi-platform Discovery GO app, where viewers can watch exclusive mid-form series. 16 YEARS OF MOTOR MADNESS, premiering February 16, utilizes Discovery’s epic motor programming library and counts down some of the best crashes, first builds and celeb moments in the network’s auto history. On February 22, the premiere of AMERICAN CHOPPER: BEHIND THE BIKE follows fan favorites Paul Teutul Sr, Paul Teutul Jr. and Mikey, as well as their longtime friends and builders Rick Petko and Vinnie DiMartino, as they revisit their favorite moments from the series, from bikes to celebrity guests to pranks. Debuting February 23, WORST CAR EVER dissects five of the shoddiest cars ever put into production, with trusted Discovery talent picking apart the embarrassing details that made these models pariahs of the auto industry. Throughout the week, Discovery’s top motor talent will be going live every night on social platforms including Facebook, Instagram, and Twitter. Audiences can also catch up on all the MOTOR MEGA WEEK premieres on the Discovery GO app – free with their paid TV subscription. Check out a trailer for Mega Motor Week now. Are you excited for this event on Discovery? Tell us what you think. More about: American Chopper, American Chopper: canceled or renewed?, Discovery Channel TV shows: canceled or renewed?, Shifting Gears, Shifting Gears: canceled or renewed?, Street Outlaws: Memphis, Street Outlaws: Memphis: canceled or renewed?, Street Outlaws: No Prep Kings, Street Outlaws: No Prep Kings: canceled or renewed?, Twin Turbos, Twin Turbos: canceled or renewed? Will not watch chuck as racemaster! Chief is an authentic,fair and humble individual. As far as Richard Rawlings……..arrogant, dishonest and couldn’t put a Lego car together without the money to pay someone to do it. That’s not what fans want to see. I think its wrong to get rid of big chief and shawn, chuck as a race master just doesn’t do it for me,he is a racer not talent.the same goes for ryan martin.they are side kick material.